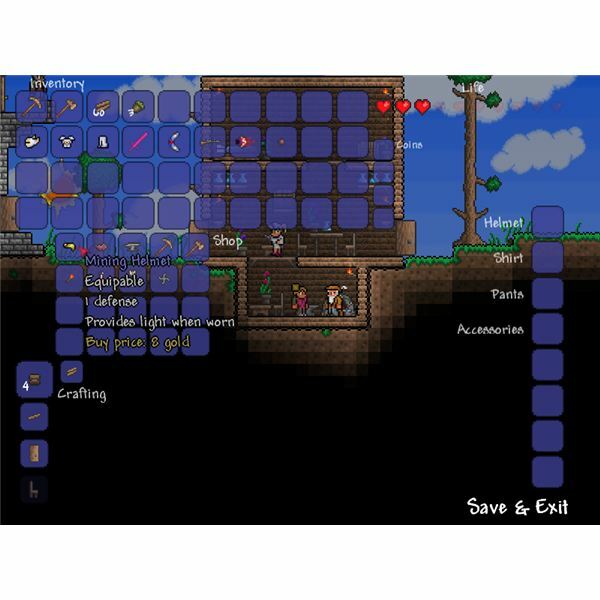 In Terraria, servers are the life of everything in the multiplayer arena. You can play single player without having to get into one, but if you want to join other players in a larger open world to roam, you'll need to join a server. So what do Terraria servers offer for you that you can't get on your own? The answer is: Plenty! There are a number of benefits to be had for joining a mulitplayer server. Companions. Multiplayer servers are just that; multiplayer. Some will be low-population and give you only a couple of additional players to party with or compete against. Others will be higher population servers with tons of players roaming the world, doing their own thing. Other players can benefit you in many ways; they can help you build, they can help get you started, they can give you surplus items you're looking for, and they can help kill difficult monsters when you're stuck on your own. Also, who doesn't need a little extra help piecing together a building, tower, cave, or other structure you want to make? More hands makes the work go faster. Settings. Servers allow many custom settings, everything from higher monster spawns and different layouts of worlds, to established towns, extra NPCs, and for the more customized out there, nearly anything else. The number of settings you can change is huge, and the custom servers out there can be nearly infinite. Make the game easier, or more challenging, or just more fun with wacky add-ons. Rules. Some servers you may join might be full of horrible people, digging death traps under spawn points, yelling racial slurs like it's Xbox Live, and generally being horrible people. Other servers may have stricter requirements, and ban people who grief, swear, or otherwise make themselves into nuisances. One of the worst things that can happen to a community is the people in it turning sour, and good rules and active moderators can help keep a server fresh, interesting, and fun for people who play in it. Of course you're going to find the occasional server of horrible people, but those are few and far between. Communities. Some servers only allow people from certain communities to join them. Whether you're joining one based on a particular state or region of the US, or a brit-only server, or a server that only allows people with the last name starting with S, the server you join can be a huge difference in the player base. Anything is possible! What is Hamachi? You may have noticed the word crop up now and then in any discussion of Terraria servers, here or elsewhere. Many servers are listed as non-hamachi, as if that's important — and it is. So what does it mean? Hamachi is a third party program that games use to make server connections easier, basically. In technical terms, it's a Zero-Configuration Virtual Private Network that is used to allow computers to connect to each other even though they're behind NAT firewalls. It essentually makes your connection with other computers across the internet as reliable and solid as though they were in the same room, wired to the same home network. Fewer network errors, less lag, and other such benefits come of this. Hamachi is a shareware program with a free trial, meaning that if you want the full version with all it's features, you'll have to pay for it. However, the version a player would need for Terraria is the free version, so don't feel like you're locked otu of Hamachi servers because you won't pay the fee. The free version of Hamachi is free for non-commercial use and can be found here. So what's the difference between a Hamachi server and a non-Hamachi server? Hamachi makes connecting a larger number of computers together easier, and makes it more lag-free when there are a larger number of players involved. So, basically, a Hamachi server will be able to support more players with less lag than a corresponding non-Hamachi server. Will this be true in practice for you? It's hard to say. A lot of lag depends on the server, the player, and anything on the route between them. You could have more lag on a Hamachi server just because your ISP has an off day. Is Hamachi better than Non-Hamachi? Who knows? Try one of each and see which you like better, or just stick to non-Hamachi servers and avoid the hassle of setting up another program. So now that you know all about Hamachi and the various things servers can offer, where are you going to find servers to play on? Well, you have a number of options. Check your communities. Are you a member of any web forums you like to participate on? Do you like to hang out with certain groups of people? Ask them if they have a Terraria server! Many large forums, especially gaming forums, have a server of their own running. Ask around, you may be surprised. Check the Steam forums. 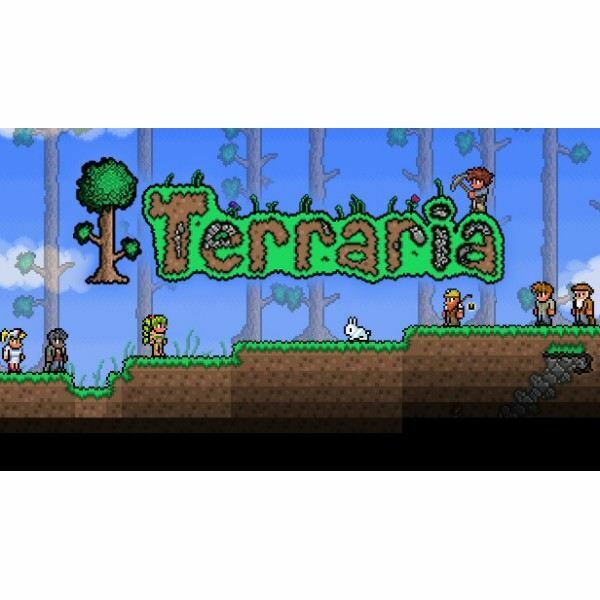 This link here is the Steam forum thread with listings of Terraria servers. Only people running servers can post their server there, so you don't have to sorry about duplicates. Unfortunately, the server list doesn't get pruned or updated very frequently, so you run the risk of many of the servers being down, either temporarily or permanently. Check the Terraria forums. For many, this would be the first place to check, but it largely depends on which site you purchased the game through. The servers forum on the Terraria forums is more active than the Steam thread, and is much more likely to give you active servers, simply because the active servers have active threads, and those threads keep filtering to the top while the inactive threads settle to the bottom and off the pages. Check out fansites. Some places, such as Terrarianet.com, offer large lists of servers with ports and descriptions. It's hard to say how well-kept these lists are, but there's never any harm in trying out a server that looks interesting. Worst case scenario, the server you try doesn't exist. Unsatisfied? Set Up Your Own! So what if you've gone through all of those servers and can't find anything you like? What if you want to set up a community of your own and reign over it as administrator supreme? What if you just want to set up a quick server for yourself and a few friends? Setting up a server can be a bit complicated to do on your own, especially if you don't have knowledge of such things to begin with. The first thing you want to do is figure out if you want to set up a Hamachi server or not. If you're going to host a server, make sure your computer can handle it. Also keep in mind you'll need a constant internet connection and your computer needs to be on to host the server, or else other players can't connect to it. Hamachi servers require, obviously, setting up Hamachi on your computer first. Download the free, unmanaged version of the program and install it following the usual installation wizards. Then you'll need to click Network -> Create New Network. Set up a name and password, and keep them noted down to tell people so they can connect. Once you've done that, start up Terraria so you can set up that half of the server. Click Multiplayer -> Start Server, Choose a map and a password if you desire (possibly the same password from Hamachi if you wish) and click accept. Let it do it's thing and there you have it! Now to join your own server you need to run another Terraria client, which means clicking the icon again to play the game. Connect to your own server using the IP and password you wrote down, and there you go. Note: If you do all this and your server doesn't work, you may have to set up port forwarding. This involves going into your router and changing some settings, the process for which varies depending on your router. Go to PortForward.com and follow the instructions there. The port you'll need to forward is currently port 7777. Non-Hamachi servers do the same thing as above regarding starting up Terraria, they just don't do any of the Hamachi installation or setup. Your server might be a bit more laggy with certain people, but that can't be helped. Don’t Like These Servers? Add Your Own! Tell us in the comments if you don't like these servers and why. Be sure to point out to us when a server is dead and when a link is broken, so we can be sure to keep up to date with the best information for you. Did you use our guide to set up a server of your own? Feel free to tell us in the comments, and we may be able to add your server to our lists! Currently we don't have any Bright Hub exclusive servers to advertise, so be the first to add your own! Further Hamachi Information from Wikipedia. Further Server Information from Terraria's Site Thread. Hamachi information from Hamachi's site. Terraria Server Information from Steam Server Thread.